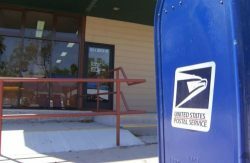 A 23-year veteran postal carrier was pepper-sprayed in what Pasadena police were calling a possible road rage attack Wednesday. Police were searching for the woman who attacked her. YWCA workers came to the woman’s aid after what she called an unprovoked attack as she delivered mail at 10:30 a.m. on Lake Street. Kubel said she went out to the patio area of the YWCA, and was shocked. “She’s covered with something and she’s burning and we are all starting to cough all of a sudden. She’s saying, ‘she sprayed me,'” Kubel said. Kubel and fellow co-workers acted quickly to help the postal worker.